The superstition that things need to buy just after his birth, appeared in ancient times. While not every birth ends happily, so moms trying once again not to draw attention to myself, fearing the influence of evil spirits. Modern women are less likely to follow this belief and strive to prepare for the birth of the baby to the maximum. First, it is much quieter when baby clothes washed, ironed and neatly on the shelves. Second, the future Pope will not need to run to the shops armed with a list, while his family is in the hospital. Finally, the likelihood of conflict due to the fact that my mom did not like dad bought things. Not worth buying a dowry for the baby right after you see two cherished strips on the test. Refrain from buying until at least the mid-term. The first trimester is the most dangerous period in the development of the fetus, it is better to experience it in a relaxed atmosphere without unnecessary cause for stress. If it is absolutely impossible to refrain from shopping, make a list of needed items, decide on models and colors, read reviews and plan your child's. 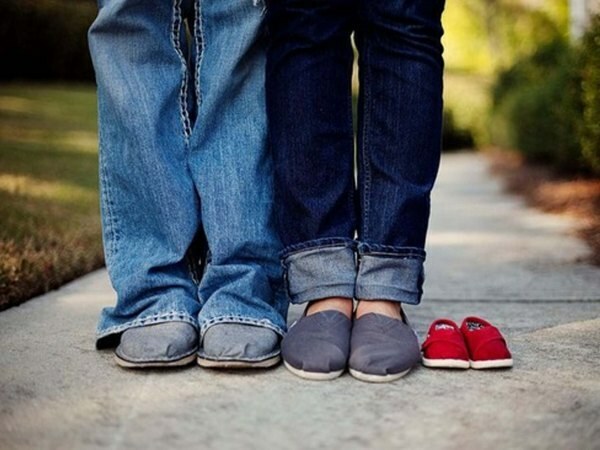 In the second trimester of pregnancy in most cases, parents already know the gender of your baby. The right time to think about purchase large items: strollers, Cribs, car seats, changing table, etc. no One is forcing you to buy it all in the first days of shopping. Visit several different stores, practices, compare the options, test the stroller for maneuverability and ease of riding, study the data on crash tests when choosing a chair. If the fears of superstition haunt you, know that it is impossible to keep the crib and the stroller is empty. Put them toys and be quiet. Since the third trimester, the baby's development enters its final stage. Worries about the health of the child are replaced by worries about whether all things are included in the shopping list, will there be enough time to settle children, etc. Purchase a mattress, bedding and linen. From the first days, you will need bathing facilities: bath, water thermometer, tools for washing, baby soap, soft towel. Stock up on hygiene products: wet wipes, diapers for newborns (don't forget to buy a small pack in the hospital), oilcloth and diapers. Of children's cosmetics purchase diaper rash cream, body lotion, cotton buds and disks, as well as washing powder, dishwashing detergent or baking soda. Assemble a baby first aid kit, let there be Essentials: fever medicines, hydrogen peroxide, brilliant green, anti-colic, pipettes, thermometer, aspirator for the nose, herbs for bathing. Buy bottles anticlockwise valves, a couple of pacifiers for children from birth, rattles and mobile on the crib. For the first few months of clothes will be enough for 4-5 bodies, slips or vests, same sliders, 2 bonnets, 2 pairs of socks, mittens-scratchy. To exit to the street will buy a warm suit, booties and a cap. Choosing clothes, take the measurement starting from 52-56. Don't take too much, children grow very fast. Besides relatives and friends will likely give you a few sets.